Product prices and availability are accurate as of 2019-04-15 15:10:12 UTC and are subject to change. Any price and availability information displayed on http://www.amazon.com/ at the time of purchase will apply to the purchase of this product. Bust---------------(XS) 28"-32" (S)30"-34" (M)32"-34" (L)34"-38" (XL)36"-40"
Waist--------------(XS) 24"-27" (S)25"-28" (M)26"-29" (L)27"-30" (XL)28"-31"
Hip----------------(XS) 30"-34" (S)31"-35" (M)32"-36" (L)34"-38" (XL)36"-40"
Length-------------(XS) 25.5" (S) 26" (M) 26.5" (L) 27" (XL)27.5"
Fabric: 80% spandex and 20% polyester. Feel Silky and Comfortable. Hand wash with soft water and professional cleaners, allow the bra to air dry, Once it dry, put the protective film on the adhesive surface. Please Note: We have adjusted the size based off of previous reviews, so please choose your normal size. 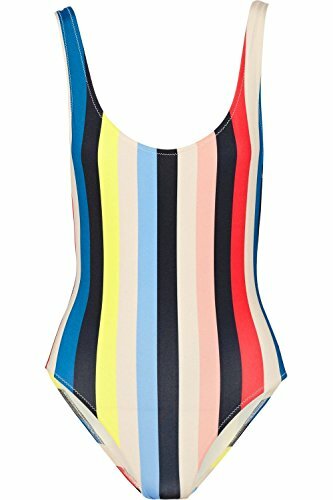 Tag Size XS=US Size (0-2) / Tag Size S=US Size (2-4) / Tag Size M=US Size (6-8) / Tag Size L=US Size (10-12) / Tag Size XL=US Size (14-16) Suit Occations: Beach / Swim wear, Casual, Party, Work, Date, Wedding, Cocktail, Nightclub and Homecoming Please choose the right size based on Size Chart in the Product Description.